The other day I read something on Facebook that got me thinking, a bride to be had written a message on a page asking for advice regarding her bridesmaids. Her issue was that she had paid for their dresses, shoes, accessories and (obviously) meals but that now some of them were saying that they planned on doing their own hair and make up as they don't want to pay for it. She emphasised that she wanted everyone to look uniform in the pictures. My first reaction to this was, "well that's a first world problem if ever I've heard one!" But then I got to thinking... Where did the concept of dressing your chosen ladies in the same outfit come from? In any other social situation this would not be welcomed by either party, imagine rocking up to a glamorous bash where 5 other women were wearing exactly the same outfit as you. When I think about dressing the same as someone else I think of 2 things; school uniforms, and when I was a child my mum used to dress me and my little sister in the same dresses and occasional matching stripy leggings and Sweater Shop Jumpers. Fact is your bridesmaids are all different people, not clones, and different things will look good on different ladies, this includes hairstyles and make up. 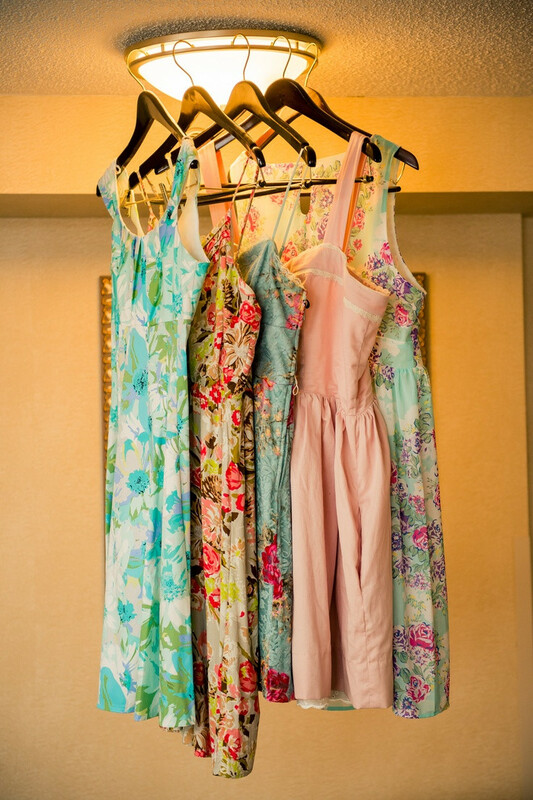 Why not choose a colour theme or period style to tie them all together, or maybe even a pattern, that way if your ladies aren't all required to be matchy matchy you can pick up dresses on ebay or even in charity or vintage shops saving you a small fortune in the process. 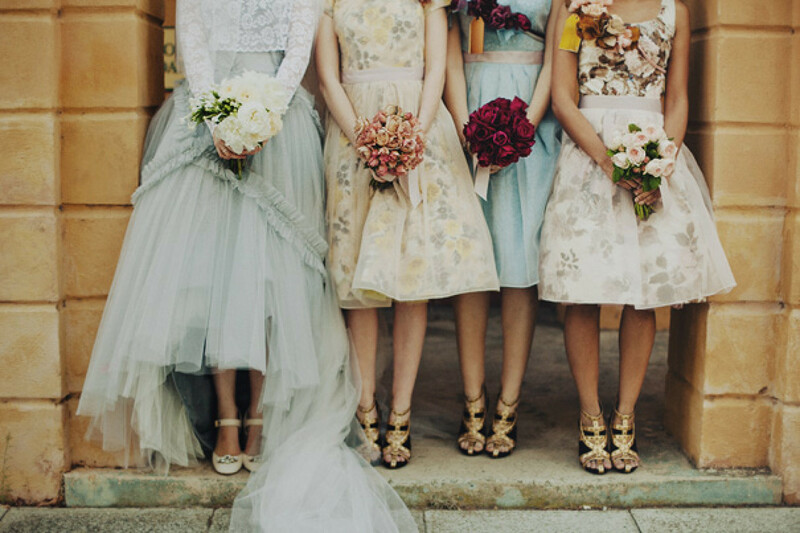 You can give them all matching bouquets, flower crowns or corsages if uniformity is important to you. I guarantee it will cost less. Don't let the pressure of wedding traditions dictate how your wedding should go, do what is important for the two of you. It can be an expensive thing just to be a guest at a wedding; with travel to and from the venue and often very expensive hotel rooms, add on drinks throughout the evening and that's before you've even bought that new frock you've had your eye on... 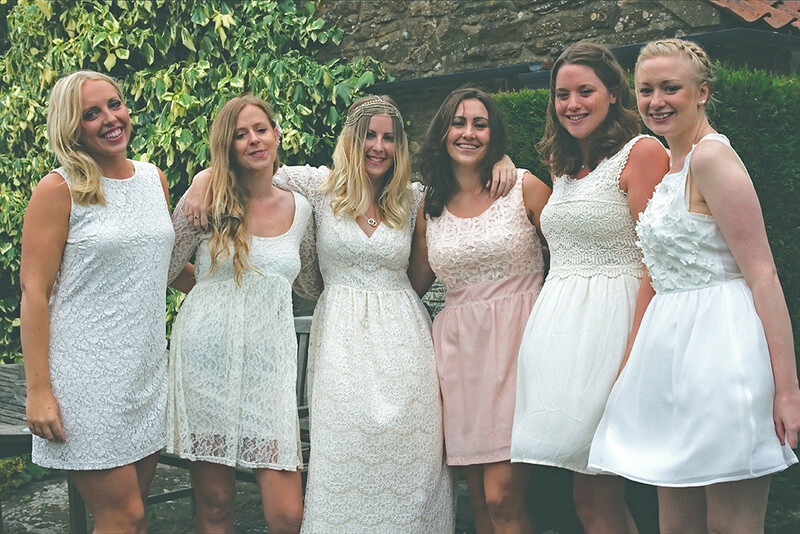 I've spent upwards of £200 on simply attending some peoples weddings in the past, so if you throw in the cost of the hen do and your maids paying for things like their hair & make up it can end up costing your favourite ladies around £500 each! Ask yourself if they can really spare that kind of money, if the answer is no then it's likely that your wedding is putting a bit of a financial strain on them but of course they will want to be there for you and not let you down on such an important occasion. 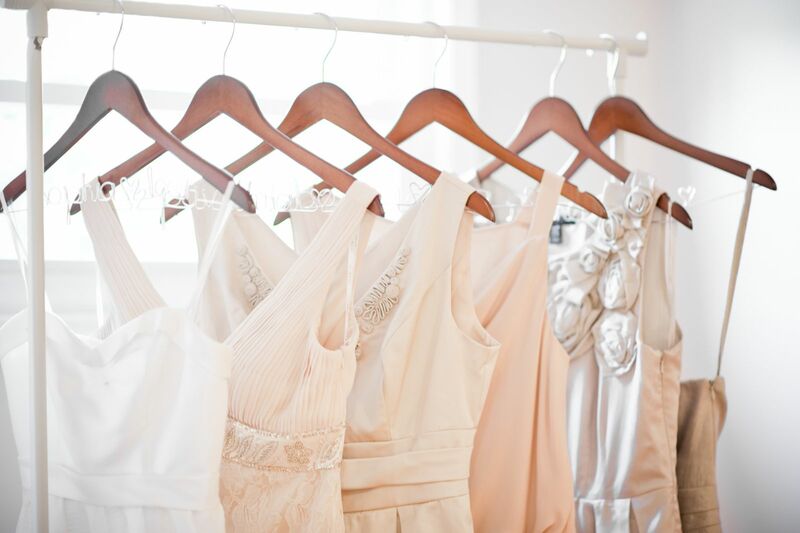 * Don't go for dresses marketed as 'bridesmaid dresses' as these will always be more expensive, buy high street, there are no rules about what bridesmaids should wear!